Time to use all the beautiful ripe plums in a seasonal chutney. Think chutney takes too much effort? Think again… This chutney can be yours all in two steps! It’s so glossy that it puts all other chutneys to shame so make it and see the finished product for yourself ! 1. 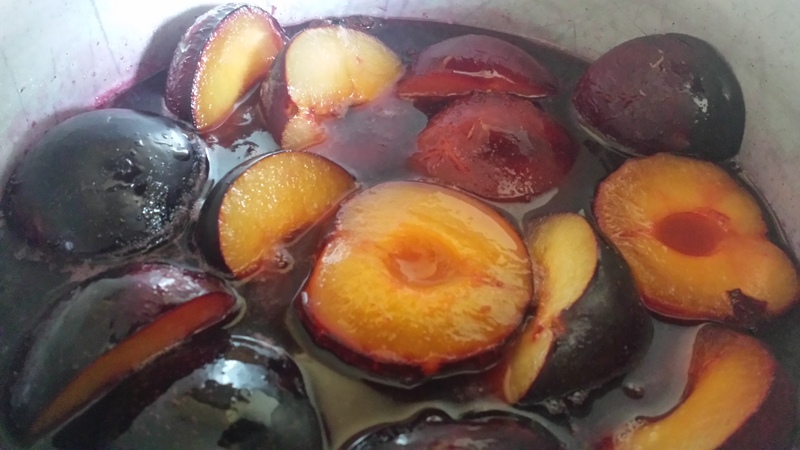 Prepare the plums and pop into a large heavy based pan with the sugar, vinegar and spices. 2. Simmer on a low heat for around 45-60 minutes until the plums have reduced and thickened to a glossy chutney. Sterilize a couple of jars,seal well and store in the fridge. Quick chutney is ideal with hams and cheeses and beautiful with rich duck so dig in!